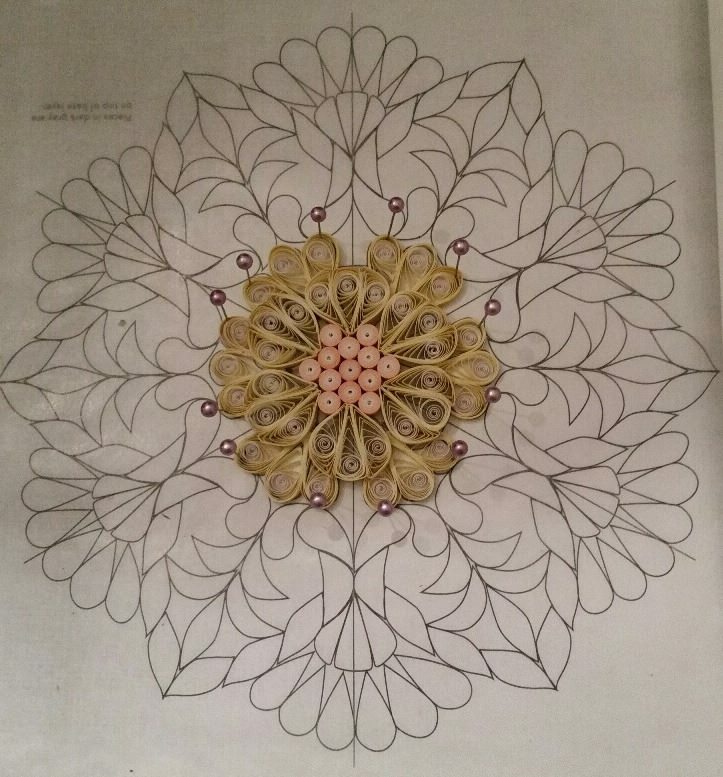 I'm ready to begin another mandala since I had so much fun with my first one! 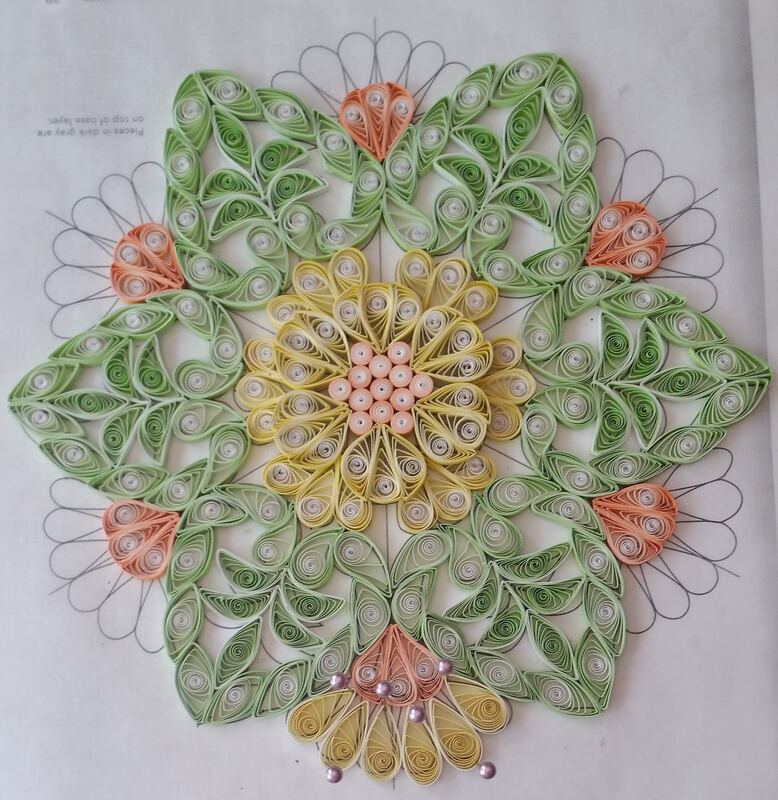 I decided to use bright green graduated paper which is the paper used in the photograph in the book, although the directions do say opal green. 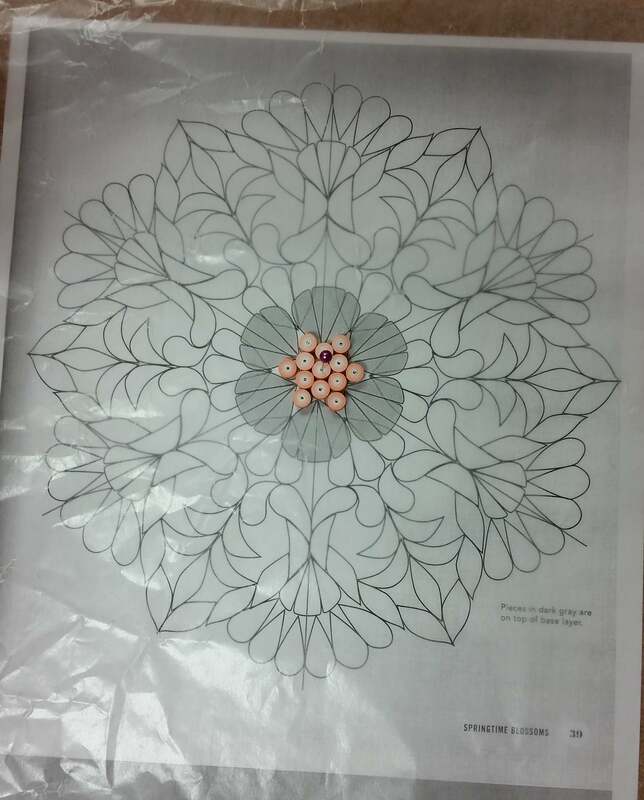 I started the mandala with the orange graduated tight coils. I finished the second row. It was a bit tricky getting the yellow petals. 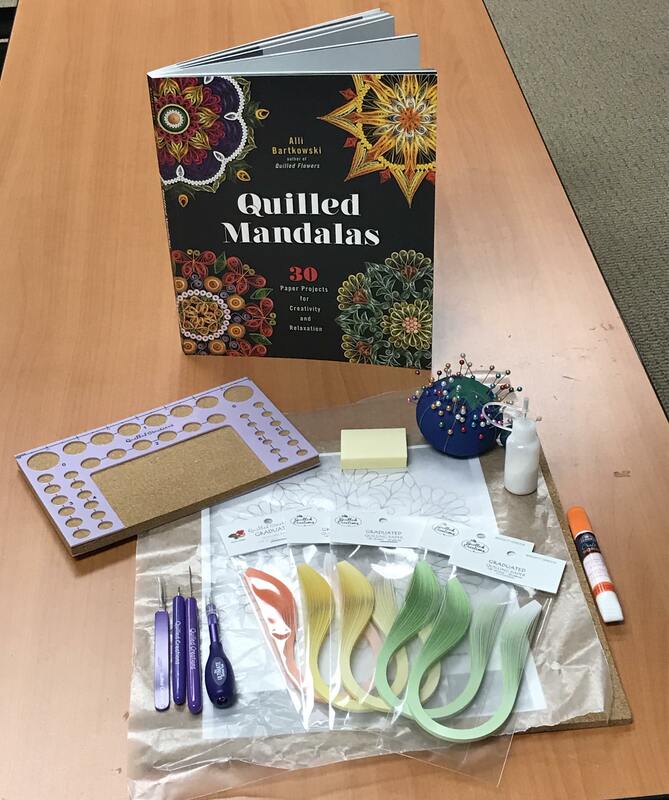 I quilled three teardrops. The middle I shaped it to be more of a triangle and then used tweezers to help attach the 2 side teardrops. I repeated 5 more times. 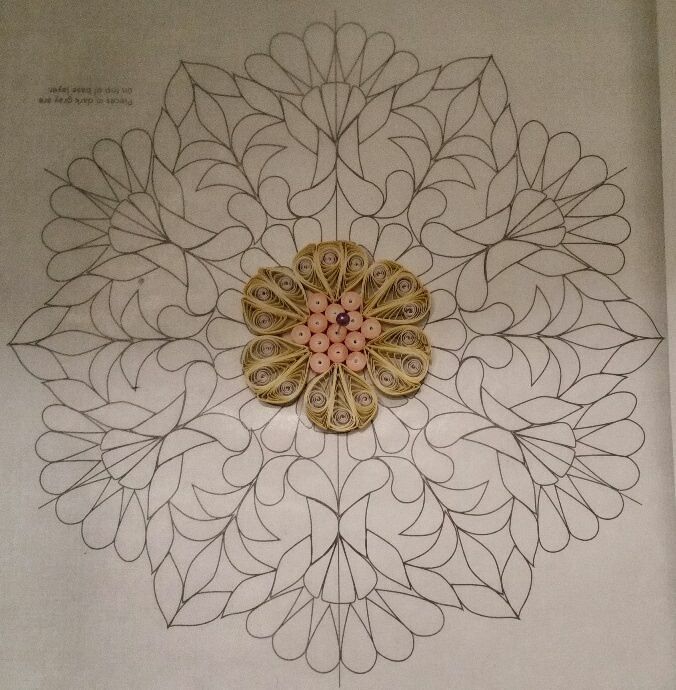 I removed my first two rows of my mandala and just set it aside. I glued 3 teardrops together and set in on template where I wanted it to go. I used pins to make sure it was laying how I wanted it. I repeated 5 more times. I then took the piece I set aside and glued it on top of the layer I just made. 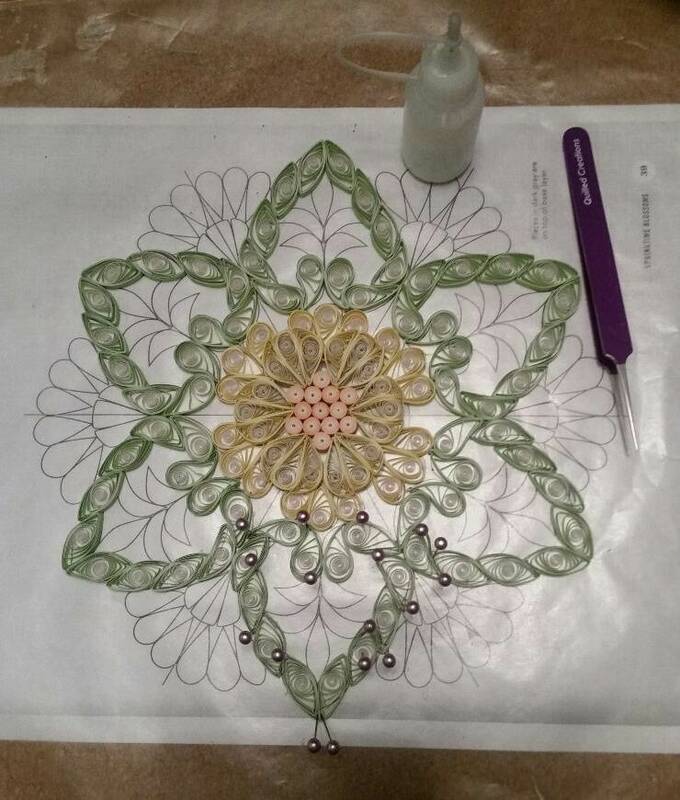 I decided to quill all the pieces first for the outside of each leaf. That means I made 72 coils that were 12 inches long using size 2 in the circle template board! I shaped 36 into marquises, 23 into teardrops and 12 into crescents. I decided to use the template as a guide so I glued the pieces to each other on the was paper. To help get the look I wanted I used pins and tweezers. Here is the first one. Now off to glue the rest! I finished all the outside leaves. I actually love the way it looks and for a quick second thought of stopping there! 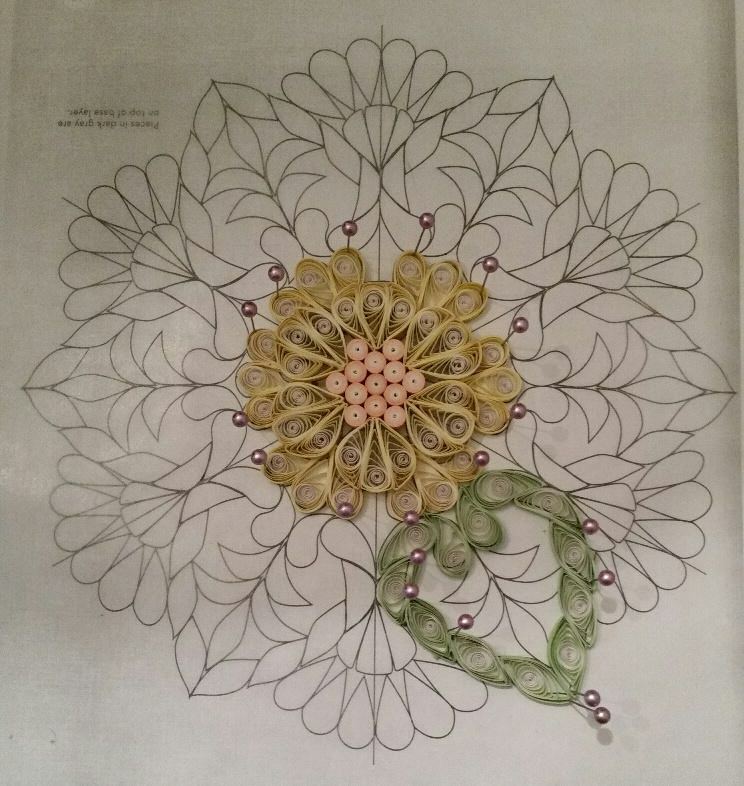 I quilled all the pieces (marquise and crescents) and glued them to the inside of the leave. I also used straight pins to shape them how I wanted, while the glue was drying. I love the way this is shaping up! What an interesting look to have the outside leaves rolled with the lightest green end and the inside with darkest green end. 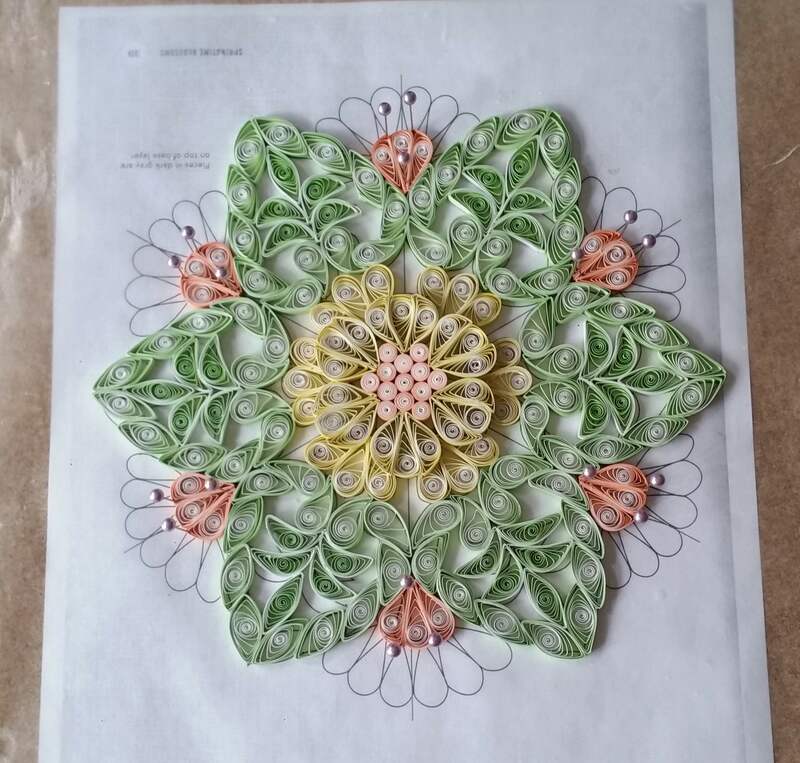 I quilled all the pieces and then formed each individual yellow flower. It was a bit easier this time around. I did the same thing as I did earlier with the yellow flowers. I used pins to help keep its shape while the glue was drying. 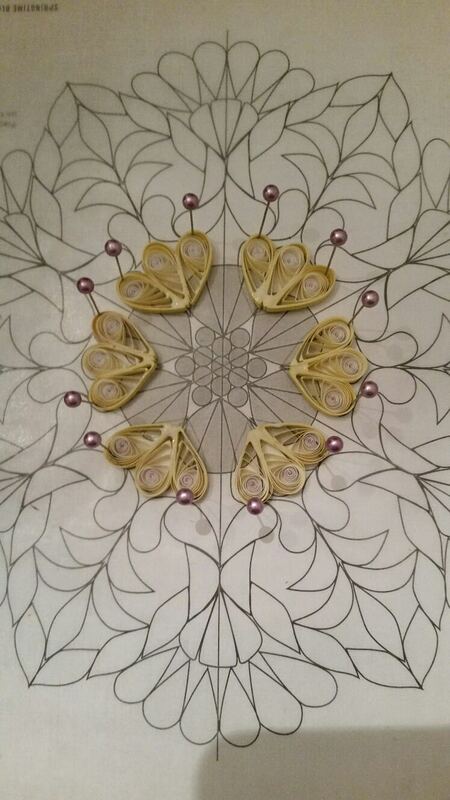 I quilled all the yellow graduated teardrops. Just glued the first section. 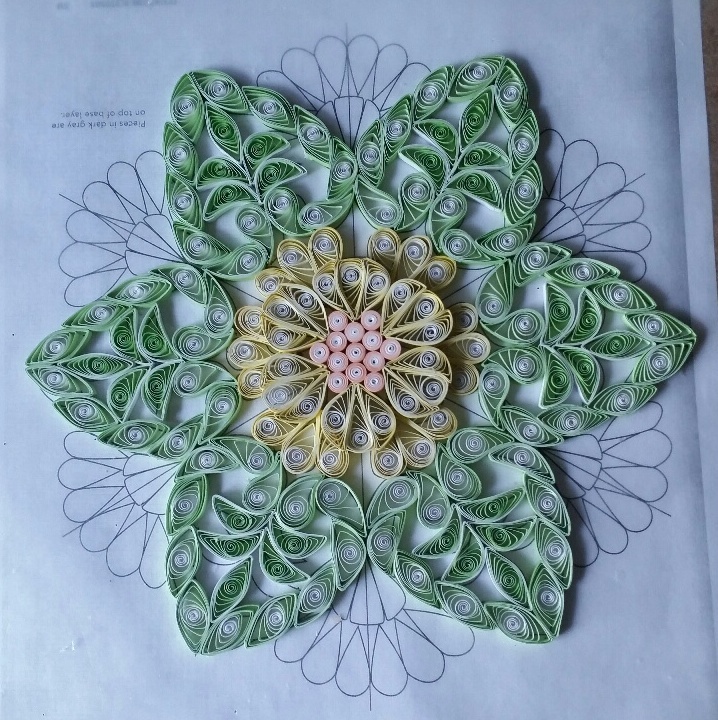 I have finished gluing all of the yellow flower pieces. Now to take the final pins off and take of the wax paper. The final product!! Thank you Alli for your creative designs. I can't wait to start another one! Great job on this! We can't wait to see more of your projects! This project is why I bought the book. You did such a nice job!! Thank you so much. I had so much fun doing it. Please share your pictures!